World Baseball Classic pitcher Dan Serafini has never been happier in the Bullpen at Aspen Glen. 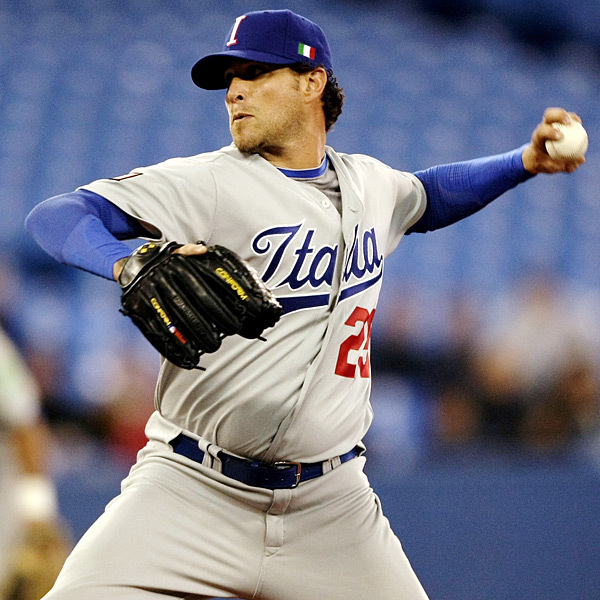 While pitching for Team Italy in the 2013 World Baseball Classic, lefty Dan Serafini began his 22nd season playing as a pro in America, Canada, Japan, and Mexico. With 104 MLB appearances for the Twins, Cubs, Pirates, Padres, Reds, and Rockies under his belt, the bullpen has always been a second home for the Twins’ first-round draft pick of 1992. So when when it came time for the San Francisco-born Serafini to choose an appropriate name for his new sports bar located close to the family home at 5215 Vista Blvd. in Sparks, Nevada, it was simply a case of serendipity that he call it The Bullpen at Aspen Glen. Dan Serafini was inducted in the Serra High School Hall of Fame. Dan Serafini has been one of the Bay Area’s hometown heroes since the early nineties. In his senior year at Junipero Serra High School in San Mateo, the southpaw pitcher was on every MLB scout’s radar after going nearly perfect (11 wins and 1 loss) and setting a single-season school record of 149 strikeouts. 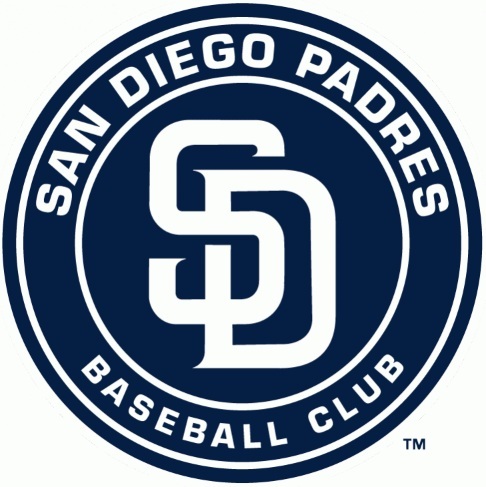 In his two seasons playing varsity for the Padres, he went 20-2 with a 1.70 ERA and 271 strikeouts. Perhaps the most appropriate way to leave a legacy that overshadows the numerous accolades that other notable Serra alumni have achieved during their high school campaign, Serafini was named to every All-Star team conceivable including: AII- WCAL, AII- County, All Peninsula, and All Northern California. 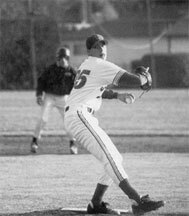 He was the 1992 WCAL, County and Peninsula Co-Player of the Year in addition to being named the San Mateo Times County Athlete of the Year. 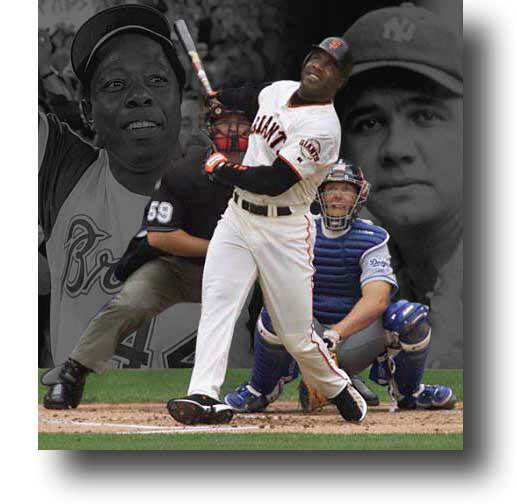 Roberto: San Mateo’s Junipero Serra High School has been known to produce their share of athletes including Barry Bonds and many sports legends. While covering the Australian Baseball League, I learned that Brisbane Bandits’ Chuck Lofgren pitched at Serra High School. Having also played there, how does it feel being surrounded by a strong Bay Area professional athlete fraternity at Serra? 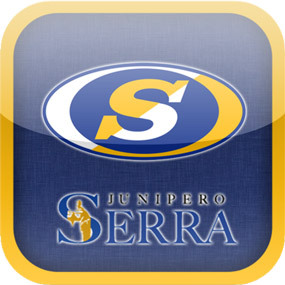 Dan Serafini: Serra High School is a great baseball facility and just a great school to go to. We had a lot of great players: Jim Fregosi, Dan Frisella…even some football players: Lynn Swann, Tom Brady. We have quite an athletic history. Some really good baseball players like Gregg Jeffries have come out of my school. Roberto: Team Italy slugger Chris Colabello followed the same minor league path to MLB playing for Double-A New Britain RockCats. While you played there, you were named to the 1995 Eastern League All-Star team after going 12-9 with a 3.37 ERA. Dan Serafini: That was a long time ago. I can barely even remember that. At New Britain, Chris got to play in the new stadium. I played in the old Beehive Stadium, which was more like a high school stadium with a trailer park locker room. I had a good year that year, and it got me a call up to Triple-A before the season was over. 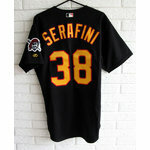 Dan Serafini pitched for six teams in seven MLB seasons from 1996-2007. Roberto: You made your MLB debut on June 25, 1996 in Minnesota against the New York Yankees. Dan Serafini: It was not an easy team to pitch against for my first time playing in the big leagues, but it was a great memory. It was kind of funny. The Twins wouldn’t let me into the locker room before the game. They didn’t want any animosity in the locker room because they hadn’t sent anyone down (to Triple-A) yet. I had to stay in a hotel and then on game day I got to show up right before the game started so that I could get ready to play. It wasn’t the greatest experience, but it was still a good experience. I got to the big leagues! Roberto: At least it was a home game when you had to face the intimidating New York Yankees. Dan Serafini: Although it was a home game in Minnesota, it was still intimidating. It was the New York Yankees—no matter where you are playing them, they are intimidating. Crowd factor definitely helped. I had the crowd on my side. I loved Minnesota. It was very supportive. I had a great time. Roberto: You also had some more playing time with the Twins in 1997 and 1998. Was it rewarding for you? Dan Serafini: It was. I got a very brief opportunity with the Twins. You know, going back from starting to the bullpen and starting and bullpen. I was never really able to fill my niche with the Twins. It was fun. It was rewarding. 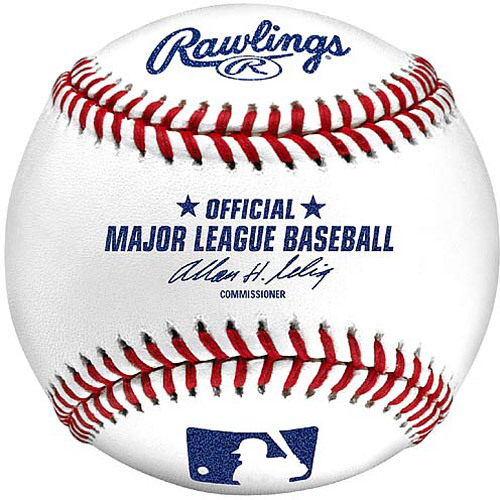 I’m a Major League Baseball player. There is nothing more rewarding than that. 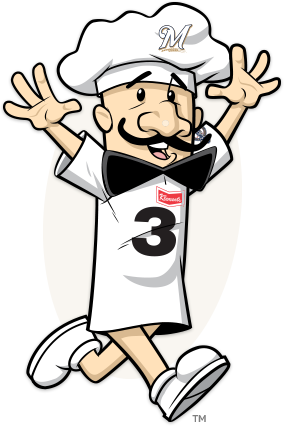 Roberto: The Chicago Cubs bought your contract from the Twins on March 31, 1999. 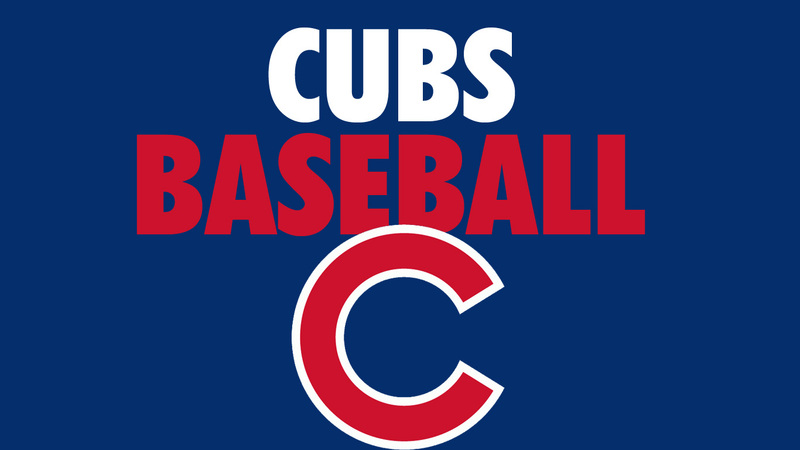 You made four starts for the Cubbies and put together a 3-2 record in 42 appearances with a 6.93 ERA. league pitching coach, Marty DeMerritt, wanted me to become a left-handed specialist and drop down sidearm and start pitching sidearm only. So I did that, and it completely screwed up the whole rest of my season. I was walking everybody, giving up all kinds of hits and just all kind of happened. I can’t blame him. He was just trying to help me out, but to change your pitching mechanics in the middle of the season… It’s really hard to make an adjustment to big league hitters. It hurt me pretty good. Roberto: In the 1999 offseason you were traded to the San Diego Padres and pitched in three games in 2000. How did it feel to come back to your native California to play pro ball? Dan Serafini: I was there for a long time. I didn’t get many opportunities. I was mostly like a chess pawn. I just kind of sat in the dugout. I’d go a week straight without pitching in a game. I would have liked to become a better player than I am today. San Diego is beautiful, and I’m from California–even though it’s Northern California where I’m from. Southern California is a beautiful place. I guess I had more fun there off the field than on the field. Roberto: After being traded to Pittsburgh and playing for the Nashville Sound, you had a 4-3 record with a 2.60 ERA before the call up to the Pirates on August 5, 2000 to make 11 starts. Dan Serafini: After getting traded from San Diego, I had a really good month or so in Nashville before getting called up. 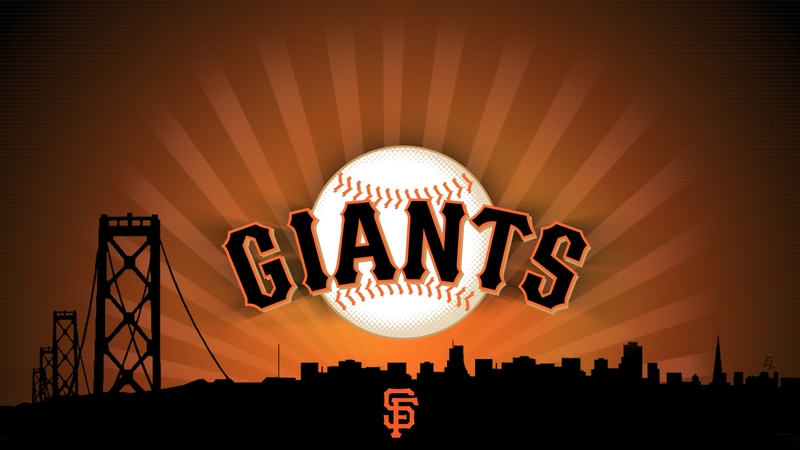 I made my first start against the San Francisco Giants and won. 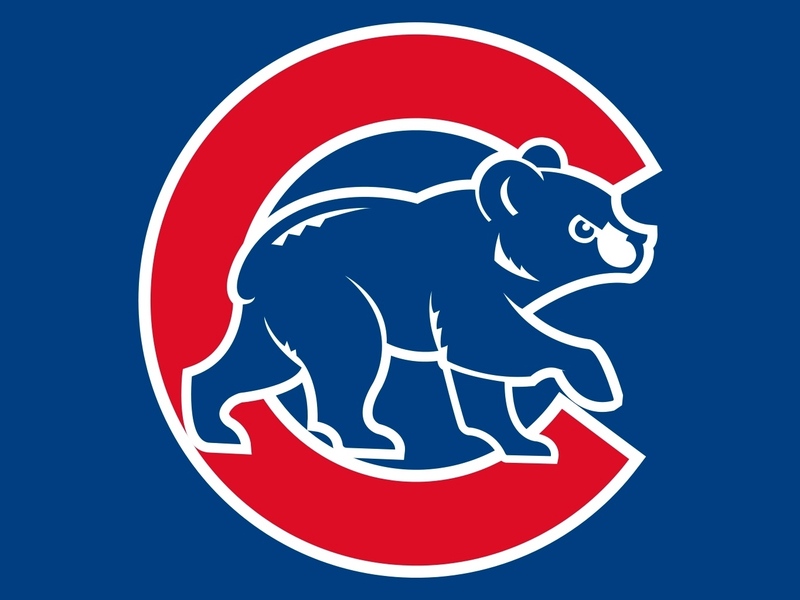 That could have been probably my favorite time in the big leagues–to be going back home to my hometown and beating San Francisco in San Francisco. I had a pretty good season with Pittsburgh. They were struggling and in last place. I threw well for Pittsburgh. I just didn’t fit in their books. Roberto: Signing with San Francisco must have been a dream come true? I signed. So I really didn’t get much of an opportunity with San Francisco. Roberto: You quickly signed with the Mets and played for the 2001 Triple-A Norfolk Tides, where you posted 5-2 record with a 3.31 ERA in 31 games. Dan Serafini: I didn’t waste anytime—maybe two days later signed with the Mets. Went to Triple-A and played there a little bit. I pitched pretty well, but got into an altercation with the GM. I ended up getting released and walking on over to the other clubhouse and signed up with Milwaukee that same day. 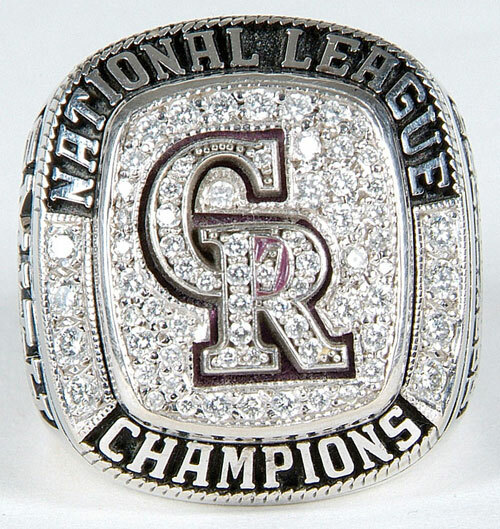 and were granted free agency in October, 2001. This opened the door for other opportunities, and you ended up signing a minor league deal with the Anaheim Angels. 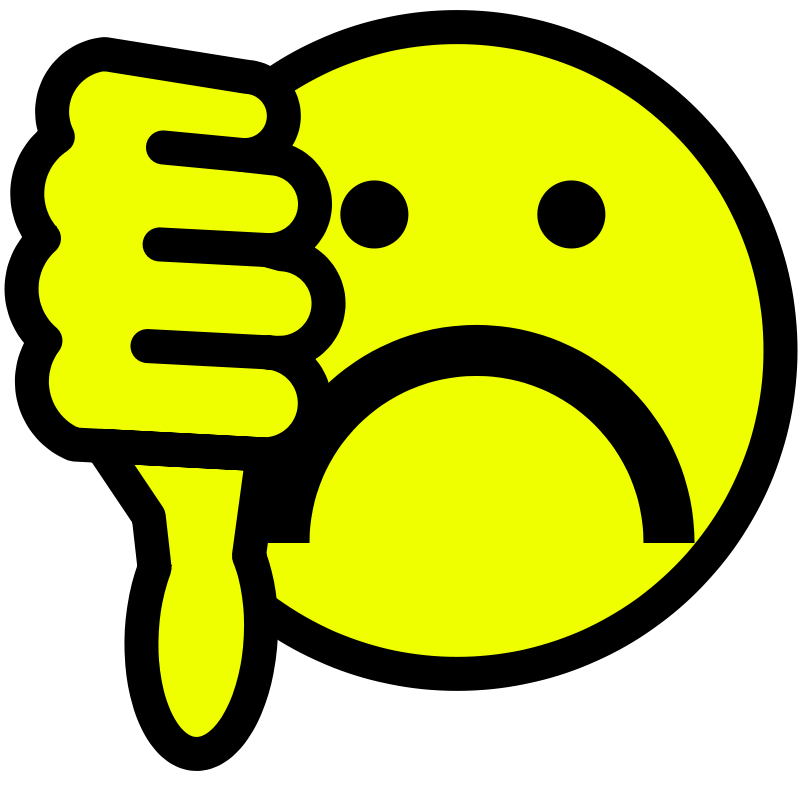 Was that another short-term engagement by design or a matter of being released? Please clear up all the misconceptions and incorrect information the media has picked up on to make you have to stand up for yourself and clarify. Dan Serafini: Well you know the thing is…the media–they always say you were released, you were released, you were released. But for a lot of those teams I’ve actually picked the option for my release. I didn’t get released. They would option me down to Triple-A, and I felt that I didn’t deserve to go to Triple-A. So for a lot of those assignments I chose not to go. Roberto: After opting out of your contract with the Angels, you tried to make a comeback in late 2002 when you signed with the St. Louis Cardinals. You began at Triple-A Memphis, but then on April 21, 2003 you were released. Dan Serafini: I knew what was going to happen because during the offseason I signed for such a high contract to go to Triple-A. I knew they were using me to fill a spot. So I knew as soon as no one came down from the big leagues or something that I was going to get released. Roberto: So you expected it? 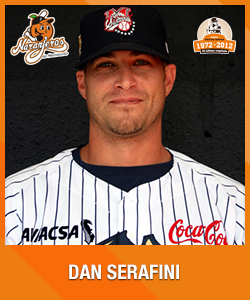 Dan Serafini: I had signed for a substantial amount of money to go and play in Triple-A. Within the first month when Kevin Ohme was sent down from St. Louis, they got rid of me the next day. I pitched okay there, but it was really hard because I have always been a starter my whole career and I kept bouncing back and forth. I was going from bullpen to starting to bullpen and starting and never got into a rhythm. So for all these teams I played for, I had really a tough time coming out of the bullpen and learning my routine and learning to play. Unfortunately, I didn’t really prove myself that well as well. Roberto: It sounds like the experiment on the big league level of being a sidearm specialist coming out of the bullpen went terribly wrong. It was not exactly the best training ground for trying something new. Dan Serafini: No. The only chance I had to experiment was on the big stage, which is really difficult if you are not physically or mentally prepared for those things. 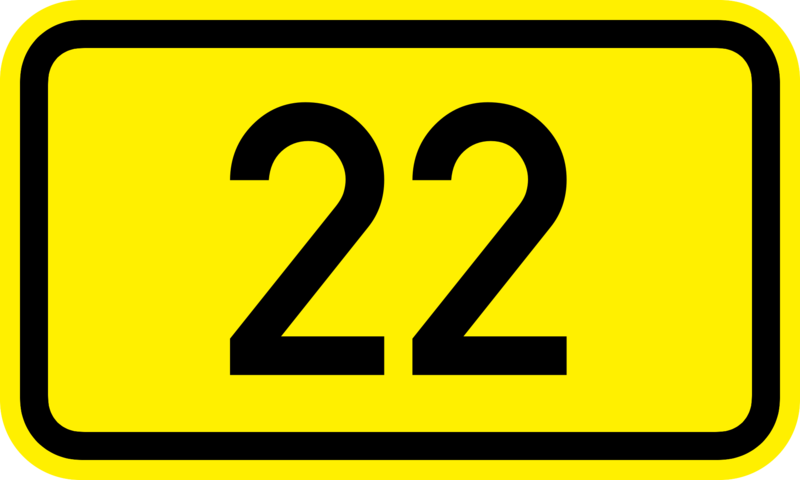 I wasn’t…I was only 21 or 22 at the time. It was a difficult road for me–that’s for sure! 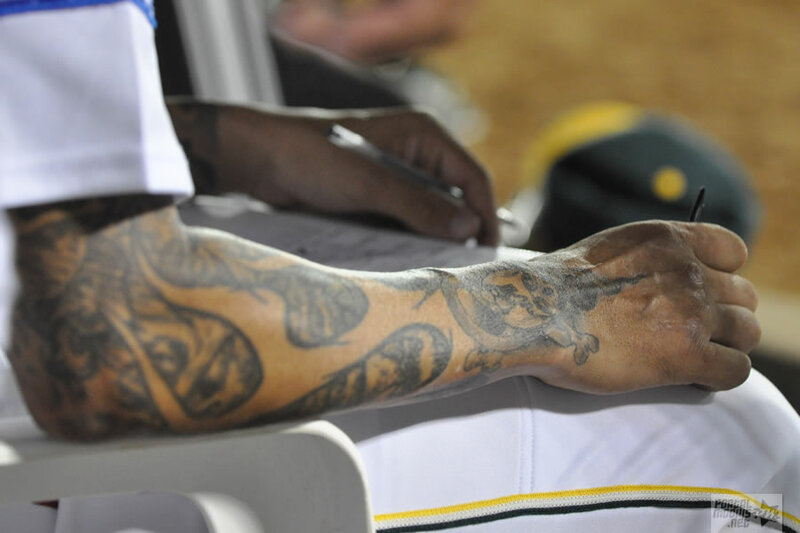 Roberto: Did being disillusioned with American pro ball inspire you to head south to Mexico? Dan Serafini: Yes, I played my first year in 2002. 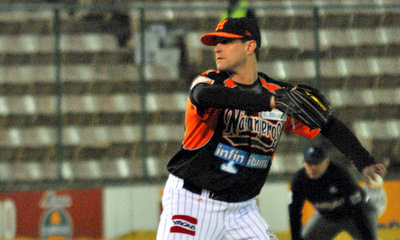 It was winter ball for Mazatlan. I had a great manager and a really fun time there. And they said if I ever had a problem in summer that I was more than welcome to play in Mexico. So after that St. Louis series, I went in 2003 to go play summer ball in Mexico. 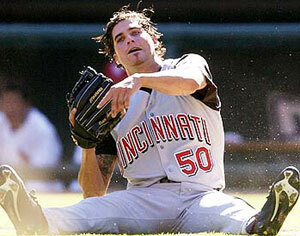 Roberto: The Cincinnati Reds noticed and purchased your contract on August 25, 2003. Dan Serafini: I ended up winning the ERA title. I set the record for the most wins in a row that season. I was a starter. I got back in the my swing of things. I got my mechanics back and pitched really well. I got called up and went straight to the big leagues in Cincinnati. Roberto: On August 26, 2003, you started against the Milwaukee Brewers. I wouldn’t go to the bullpen and that I would only start. Because I had already 130 innings pitched in Mexico, I was tired and said I didn’t want to get up and down every day out of the bullpen. After I said I only wanted to start, the GM said that was exactly what I was summoned there to do–to start for Danny Graves because he got hurt. I crashed on a motorcycle messing around with my friends. Despite being injured, I still got a good enough report from the try out to go to Japan. Julio Zuleta charged Dan Serafini on the mound after a ball nearly hit him in Japan in 2004 . 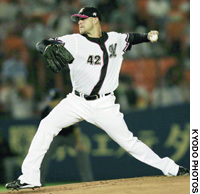 Roberto:: After being granted free agency and playing for Bobby Valentine’s Chiba Lotte Marines in 2004 and 2005 as well as the Orix Buffaloes in 2006 and 2007, were you treated with a little bit more respect in Japan? Dan Serafini: It was really rewarding because I actually got treated like a player that I was. Japan did nothing but give me the highest respect. 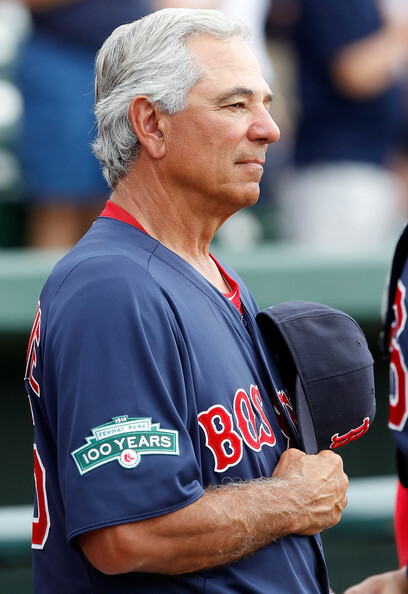 Bobby Valentine did nothing but give me the highest respect. He kept me on a routine for the full season, and I had a really good career in Japan. I still talk to Bobby off and on the internet. 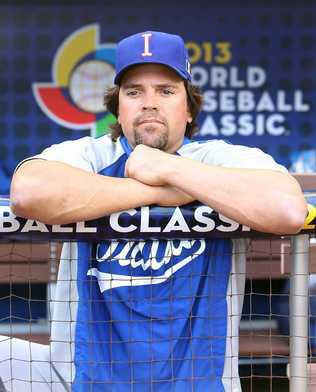 I was happy to see him as an Ambassador for the 2013 World Baseball Classic. Bobby Valentine throws out the first pitch of the 2013 WBC game between China and Japan. 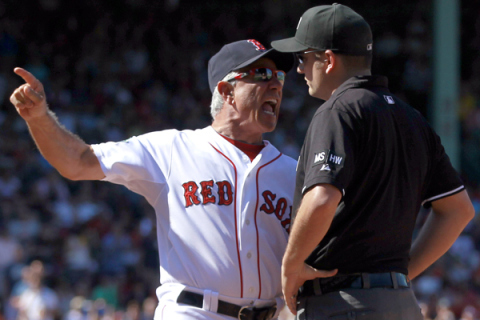 Roberto: Did you follow all the drama that surrounded Bobby Valentine last year when he managed the Boston Red Sox? Dan Serafini: I did. In fact, before the season began I called him and asked him for a job to see if I could get a Triple-A job or a coaching/ player job. His hands were tied. He said that he couldn’t make any moves. But I followed him and saw all the disappointing articles about him and stuff from players that couldn’t handle his attitude. I thought it was ridiculous. He’s the smartest guy in baseball–hands down. He may want a little more attention than he deserves, but that’s his character. If people don’t like it, they try to crucify him. He’s a very good man! Roberto: It’s too bad he was the scapegoat for the Red Sox. Dan Serafini: It really was. I know he’s done some things in his past that has rubbed people the wrong way–and we all have. It’s just the way different personalities go–especially when you have a bunch of superstars in the one locker room. It’s almost like you have to walk on eggshells around these people because they’re more sensitive than most people that are not superstars. Roberto: When a player digs into the batter’s box and gives you a long grimacing stare, is your best response and message to the hitter simply the delivery of your next pitch? 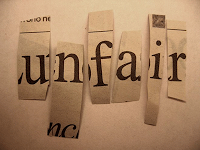 Dan Serafini: Yes, definitely–without a doubt. There’s got to be respect both ways. For me, I’ve always been tired of being called a cheater or having a dismal career by what some reporters have said. 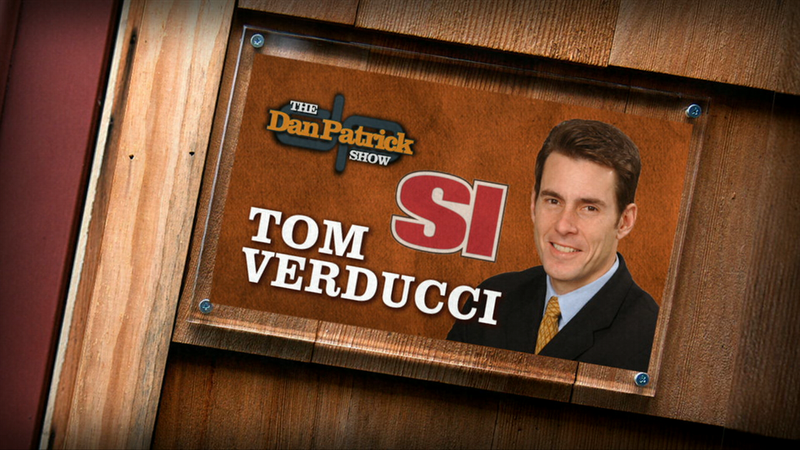 I feel like I have fought the longest just like Bobby Valentine did to get my career to where it is right now. Roberto: You signed a deal with the Colorado Rockies in 2007 and pitched on September 7th against the San Francisco Giants. I signed with Colorado. I got called up to the big leagues a couple weeks later and after four years of not having seen a major league game got to pitch to my first batter–Barry Bonds! Roberto: What were the odds of you facing one of baseball’s most feared hitters in your MLB comeback attempt? Dan Serafini: It was pretty interesting. I had some butterflies. Roberto: How did you sustain your hand injury overseas? Dan Serafini: That happened at a game in Japan. I was pitching and lost my footing in the bullpen. It was on my glove hand. I kind of slipped and fell over. I used my hand to stabilize myself from falling over, and I broke my ring finger, pinky and a couple bones in the middle of my hand. 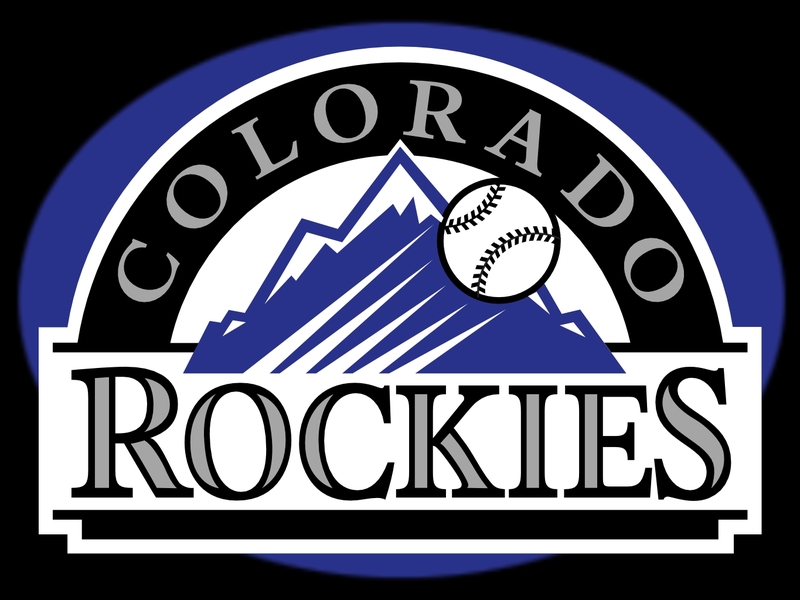 Roberto: In Japan you also sustained an achilles injury which required medication to help with the healing process and eventually led to a positive test for MLB banned substances when you signed with the Rockies in 2007. Dan Serafini: I actually got a serious injury and had surgery on my achilles. When I came back from Chiba Lotte, I tore my achilles tendon in the year we won the championship. I signed a two-year contract with the Orix Buffaloes for a substantial amount. My leg with in a cast for four months so they were shooting it up all year long trying to get it balanced back. After my first year at Orix, I wasn’t throwing very well because my body was so out of balance that it started hurting my shoulder and back. So they told me to just take the rest of the year off and come back for 2007. I was still having problems with my leg and the way my muscles were firing in 2007. So again a doctor was giving me a medication that I didn’t think much of because I passed all of my drug tests and Olympic testing in Japan. So I didn’t even think twice about it. And that’s what it was when I got tested on the last day of the season with Colorado. It was still in my system, and I got busted for it. 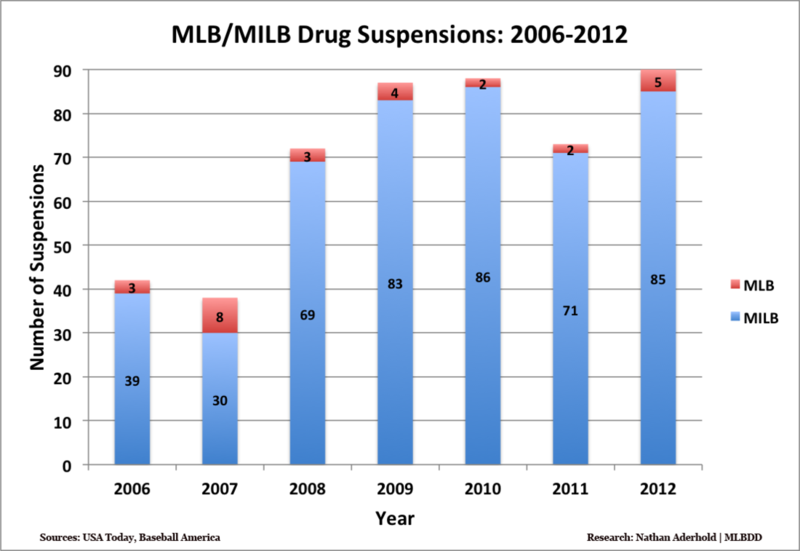 Roberto: It looks like MLB used you as a scapegoat to fill their 2007 quota and deter players from using banned substances. Dan Serafini: Yes, I think so. I mean because I tried to fight it. Roberto: If a man can’t look at me in the eye and share his theory to my face without the facts in hand—and instead choose to hide behind a computer desk in favor of meeting publishing deadlines, then it’s not news worthy in my book. article. I said so many things to balance and justify the difference between cheating and other kinds of uses of certain PEDs or whatever. And they don’t want to listen to that, but everybody wants to be negative and listen in to CNN nowadays. Roberto: Not a lot of players want to comment in fear of being blackballed. 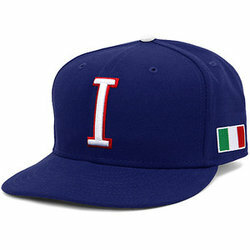 But you are not afraid to speak your mind and represent Team Italia in the World Baseball Classic. It’s your time to shine and be heard. Dan Serafini: Yes, it is. If people want to call me a jerk, whatever but you know what… I’ve been around this game for 22 years now. And I know that 90% of the people I have played with have said: ‘If I had a chance to use it and make myself better, then I would have too…’ You know, that’s what we’re here for. Roberto: I don’t blame you for having headed south to pitch for the Monterrey Sultanes after all that nonsense. well in Monterrey, got to the playoffs a few times and then I got traded. Roberto: You spent 2008 and 2009 in Mexico before heading to the East Coast to play for the Bridgeport Bluefish in the Atlantic Independent League. Dan Serafini: Yes, I did that just for a little bit so that I could get a job back in the states. I wanted more people to see me pitch, but nothing came of it. 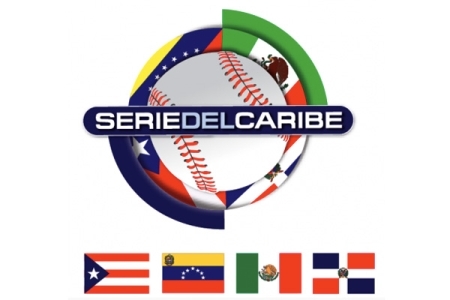 Roberto: Yet Mexico loved you and you represented the country in several Caribbean Series. 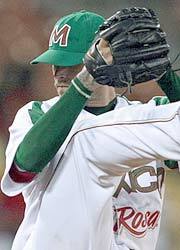 I played for Mexico in the Caribbean Series. abroad and in the U.S.? Dan Serafini: For one, the United States has the best players in the world in the major leagues. So it’s kind of hard to represent the United States because it has so many great players. Mexico and Italy have a lot of great players that have been overlooked by United States. It’s hard. With me representing Mexico, I am one of the better players in Mexico because that’s just where I am playing at the time. With my experience and talent, I can make those teams and play for those teams. I could possibly pitch for Team USA but that team has so many Americans from all over the country to pick from. So it’s really hard to make that team. Roberto: How were you recruited to pitch for Team Italia? that I was Italian through my agent. 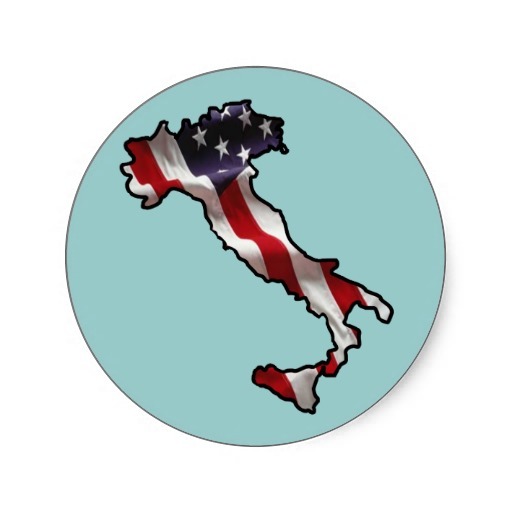 After they got the background information about my Italian ancestry, they said that they would love for me to come and try out. I came down, tried out and they said that they could definitely use me as a starter or reliever because of ‘my good arm.’ So the rest is history as far as that. 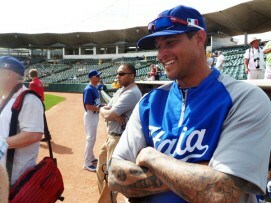 Roberto: It must have a been a major personal victory for you when Team Italia upset Mexico in the 2013 WBC. scouting report on the whole team, which I did and gave to the coaches. They watched a few of their games during their exhibition games and said it was ‘spot on’ as far as the scouting report. That’s what we used, and it actually came out well. We pitched well against them. We played great defense against them, and we came out victors. Roberto: Once Team Italia’s manager Marco Mazzieri gave me his cell phone number, I felt compelled to do the same and gave him a scouting report on Team Canada. We all had to do our part. now, I’m not an American. I’m an Italian, and I’m here to beat Team USA today. I was there to beat Canada yesterday, and I was there the day before to beat Mexico. 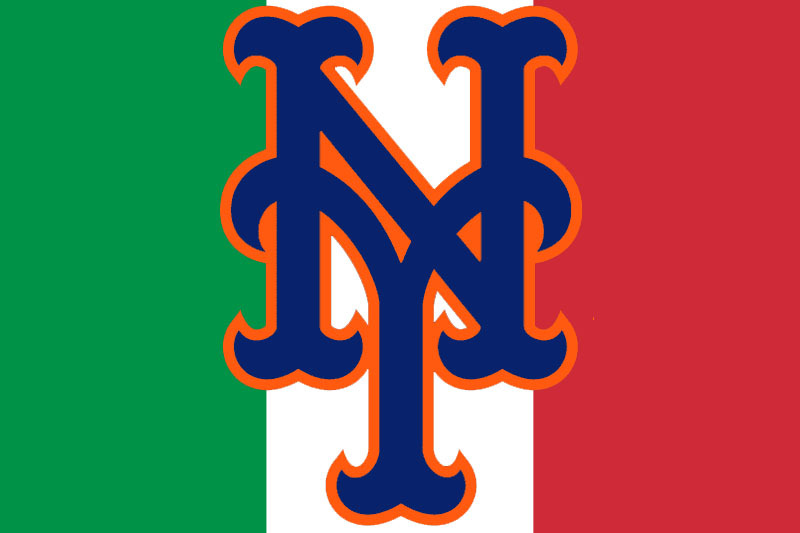 Granted I have friends from every team from all over the world, but right now I’m just Italian. I’m here to walk all over every other team. 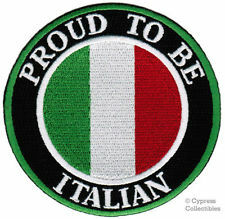 Roberto: How proud are you to be Italian? when you move to another country and are unable to speak their language fluently, you tend to get away from your native language. I want to try to learn Italian. and speak your native tongue? Dan Serafini: Yes. I mean the Italians come right over here, and they all speak English right out of the gate. 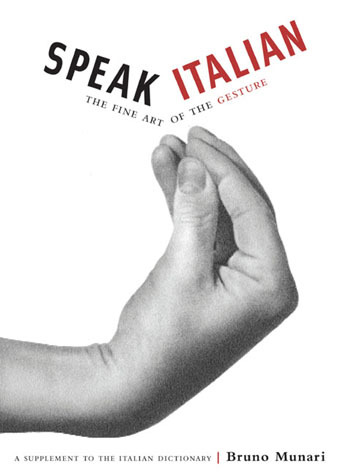 They don’t even try to speak Italian. They’re like: ‘No, we’re in America now–we’re speaking English.’ That’s what they do. Roberto: How does having a coaching staff that includes future Hall of Famer Mike Piazza affect your approach to the game? offensive catcher of all time…whatever his statistics are. have someone of that magnitude on our team helping us out. but his heart and soul are committed to Team Italia. be doing anything with his time, and a lot of us could be but we’re all here together to represent Italy. We’re going to represent the right way this time. Roberto: Thank you for your time today. I’m sure this story will be continued next time we get together to talk. Dan Serafini: Yes, definitely…I’m looking forward to continuing it. I will answer any question that needs to be answered. It’s nice to be able to explain myself for a change, and hopefully one day people will look at me differently.